We offer complimentary valet parking for up to 2 hours. 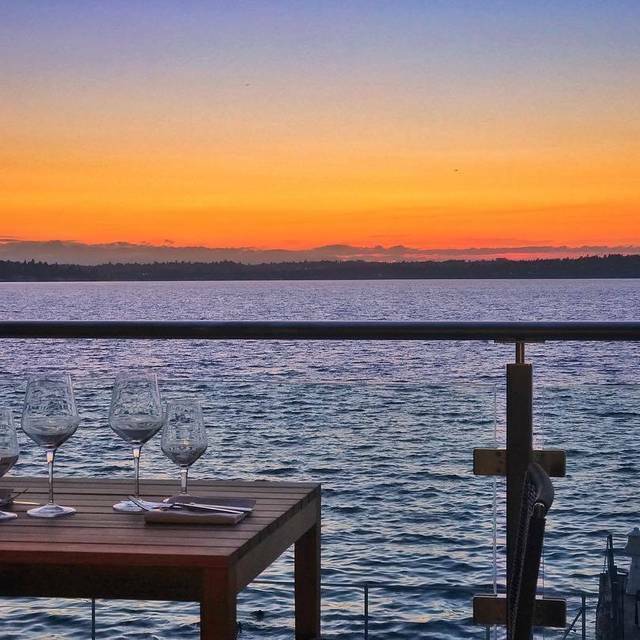 Inspired by the rich farming and seafood legacy of the Pacific Northwest, Water’s Table offers guests locally sourced seasonal fare and stunning Lake Washington views. We take pride in our food. That’s why we work with local farmers, ranchers, and fishermen to source quality ingredients. 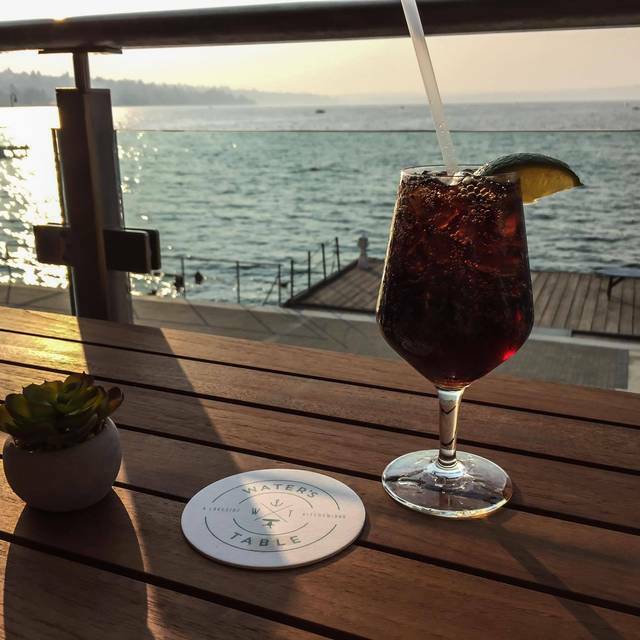 Enjoy our farm-to-table fare including fresh seafood, steak, and specialty bar food as you gaze out over Lake Washington. If you’re looking for a more relaxed environment, belly up to the bar and enjoy a glass of the region’s finest wines, craft brews, and ciders. This is a great location, with great views of the lake and a modern vibe. The food was decent, though portion size for the money could have been better, at least for the main entree. Either bring the cost down so that more people can afford to enjoy this restaurant, or increase what you get for that higher price tag (larger portions, complimentary bread/butter). Service staff was very nice and helpful. I went during what was supposed to be lunch but all they were serving was a hotel breakfast buffet that barely had anything left. Everything was very overpriced. Also Open Table said their were only 3 tables but but we were one of the only people in the restaurant. Wish they has more steaks on the menu, but the one choice, the rib eye ($58) was delicious and well cooked. Crap cake ($18) was tiny and only average. Wedge saled with green goddess dressing ($11) was also delicious. This place has the most amazing ambience every. customer service was good, too. but the food was very poor quality based on the pretty high prices we paid. I would say it was worth it for view, but I would not suggest the food is as high quality as we had expected. The hotel was mutually challenging - great location and view but overpriced food with room service and the customer service wasn't great. We were particularly frustrated with the parking garage, which did not work when we tried to leave and we did not find much help in getting out of the garage. I hope they can tweak and improve things because the location is wonderful. What started as a great evening (The waiter, Dondre, acknowledged our special occasion...a beautiful waterfront view at sunset, attention to allergy restrictions, etc) crashed and burned. After ordering, our meal arrived over an hour later. One hour and 45 minutes after we were seated to be exact. No checking or updates but we noticed apologies to all of the tables around us who came in after us. Utensils to eat were not provided until we asked. After the entree was finally delivered, I asked a second server for a utensil to eat. Five minutes later I asked again. 8 minutes after entree was delivered, I finally had a utensil to eat it with. I had to get up from the table after we finished eating to ask for a dessert menu or the check. I gave them the option. When they passed us twice without offering to take a dessert order, I got up and asked for the check. Lots of apologies. More time spend apologizing to upset customers than serving. Manager described it as staffing “opportunities”. The food tasted good when it finally came. It was overpriced for the portion size and it was not worth the wait for any price. It’s really too bad because the server was fantastic at the start and the evening completely fell apart. From reservation time to paying the bill, without desserts took just under 3 hours. During that time, water was refreshed once. This was a simple appetizer and entree course. No salads. No soup. No other courses. No dessert. What a massive disappointment. It must have been a horrible night or they will be out of business soon. We watched 5 parties of 2-8 in each party all complain and all have portions of all of their meals comped tonight. Walking out, we heard apologies to patrons in the bar. Sad. Very sad. Seemed to be under staffed it was my third time there it's been good every other time but service was slow and food was not good. The view and the service were both amazing! The food was not all that good and quite expensive. Two of four entrees were lukewarm. We really appreciate the environmental responsibility of offering wine on tap. The Pinot we chose was great! The atmosphere is great but the food was just okay. Very limited menu. We chose this restaurant for the view, even though the reviews are a mix of good & bad. We had the salmon flatbread & honey walnut shrimp for starters. Both were delicious. The wait seemed pretty long for the starters but even longer for the entrees. My dad had the salmon eggs Benedict which he loved. I had the fish n’ chips with halibut. Fries were great, fish tasted like it had sat in the window for a good 20 minutes. It was lukewarm & kind of rubbery. Our waiter Don was outstanding! 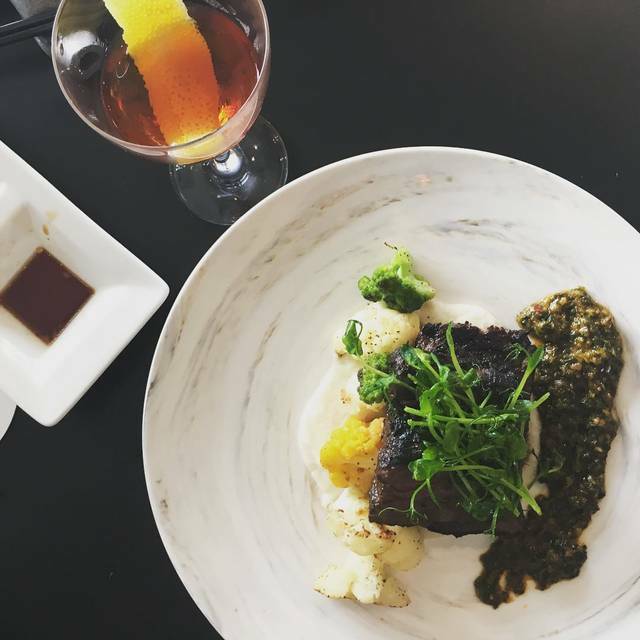 Short rib was amazing! With more effort this place could be a hit. Staff needs to be improved. Hostess seemed lack luster and server was very timid and awkward. Menu is a bit small, needing more seafood options. Price was okay but need to make the tables more appealing with candles and complimentary bread to start. More could be down with small touches to improve. Something as small as offering ground pepper and having a nightly special. We started with octopus and a crab cake. 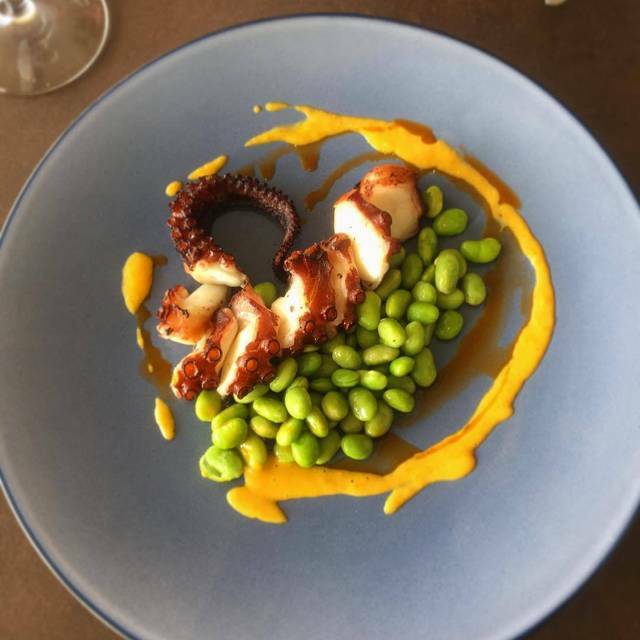 The octopus was quite good. Not over cooked. The crab cake was good, lots of crab. We enjoyed the garnish around it as well. For dinner we had a ribeye steak. It was quite good. The demi-glaze was excellent. We also had cioppino which was crazy good. We will definitely come back for the food. The service though was poor. Our water glasses were not refilled when empty and no one asked us if we wanted more wine. We also waited a long time for dessert (molten chocolate cake and creme brûlée). Both desserts would have been better if delivered when ready. Also we waited quite a while for the check. All in all we’ll be back for the food. We discussed the poor service with the manager and he was nice and admitted he was a bit challenged right now. You should go too! Very nice environment, nice and friendly staff, but they got our order and bill wrong. Food was good but a bit pricey for the quantity. I like the beef and mac and cheese. The chocolate molten cake is delicious. It's a beautiful place inside and out. I would definitely go back, hopefully soon! Timing is everything. The sun is out in the rainy northwest. 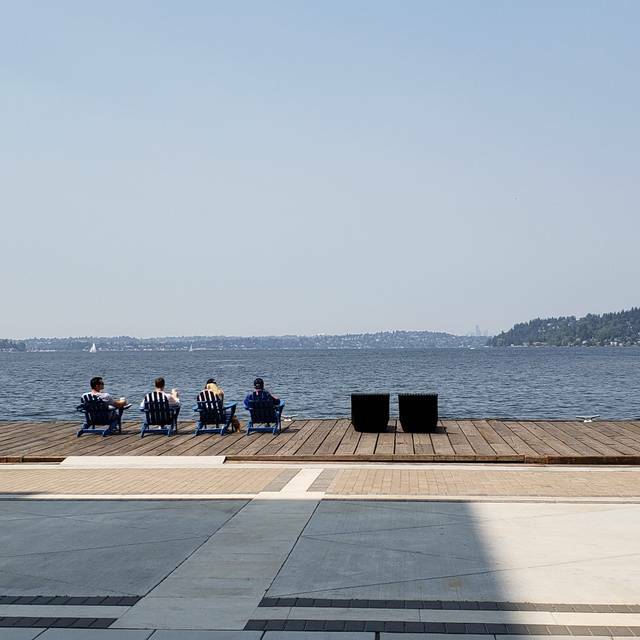 It’s hard to beat a lunch date with the beautiful view of Lake Washington. The service was prompt and friendly. The Yin and Yang rice bowl with pork belly was succulent and tasty. Not impressed with the halibut and chips. Too cold to stroll on the waterfront. Free parking with validation. Really appreciate the complimentary valet parking for 2 hours. All the staff were very warm and attentive. Thank you. Waitstaff is unprofessional & should work in a low class tavern. Our waiter gave us no greeting, walked away as we were giving our order, did not check back as to our satisfaction & yelled at diners from several tables away. The waiter had to be reminded that we ordered bottomless Mimosas. Food is mediocre. 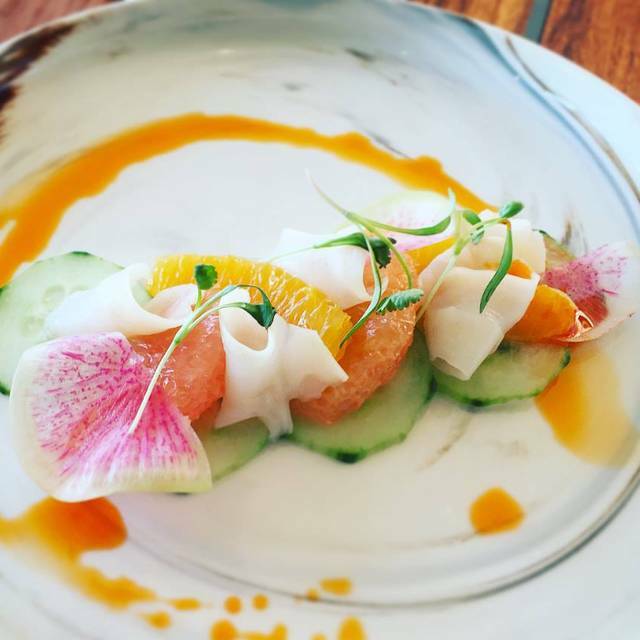 The chef needs to learn how to pair elements together or get a new chef. I had Eggs Benedict & it was the worse preparation that I’ve ever had. The one piece of herb bread did not work with the salmon & was not edible nor were the limp greens served on top of the bread. The restaurant was not busy & proably reflective of the low level of wait staff & food quality. Amazing view, excellent, menu, friendly and efficient service. One of my favorite restaurants. It’s a stunning location with great water views and nicely appointed. The chicken on the rice bowl was dry, dry, dry......In a land of terriaki chicken if you can’t cook a chicken thigh and keep it moist I’m not sure what else to say. Venue is quite nice and comfortable for fine dining. I was hesitant to go because I was unsure what the location would be like. I was so wrong. The hotel is absolutely beautiful. The restaurant is amazing. Loved the design and the views are amazing. The staff was super friendly and the food was fantastic. Loved it. We were there to celebrate my parents Anniversary today and we wanted to try a new restaurant this year. We enjoyed the brunch, the staff and the ambiance. Unexpected limited menu and it’s $75 a person and breakfast was $60 a person for buffet. Seriously I could spend that money at the 5 star hotel in Downtown Seattle. Very nice experience, wonderful food, great menu, relaxed ambiance. Very glad we came. We will be back. Our server Rob was friendly, polite, offered great suggestions & conversational. He brought us drinks, then appetizers & didn’t fire our entrees until we were ready. We ordered the 18 oz rib eye; the star of the show. Not too seasoned so you could taste the charcoal flavored meat, with a demi glacé to dip in if you wanted a little more flavor. Of course I’d rather keep this place a secret, but would be hard-pressed to do so with a steak so delicious. 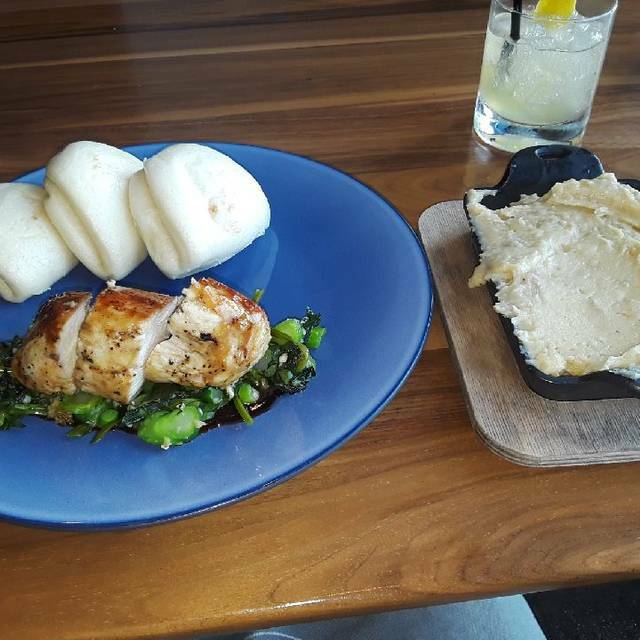 Also ordered: pork dumplings, skull island prawns, seared & stuffed chicken and blue wedge salad. Every item was amazing & we shared these family style in order for all of us to be able to sample. You could really taste the flavor of each main dish because they didn’t over-season to allow for the main ingredients flavor to come through. The dining room is spectacular & simplistically decorated. We’re coming back for brunch soon to be able to take in the view during daylight. The view is outstanding but the winter menu is not very exciting. This is my second time dinning there and the summer menu was much more to my liking. The cocktails are very weak and you cannot by wine or Prosecco by the glass. Water's Table is close to my house and I will try it again, though overall my experience was a little disappointing. The restaurant was nice and quiet, not busy for 7pm on a Friday night. The wait staff was okay, but nothing more - not helpful with recommendations or suggestions, no knowledge of the wine selection, and did not tell us of a substitution (after we ordered) on the dessert menu. We ordered the 18oz ribeye, the lemon crusted halibut, two glasses of wine, the creme brulee and the apple crisp. The ribeye was done as ordered but very fatty throughout most of the steak. The steak covered 3/4 of the plate and was thrown on top of the garlic mashed potatoes. Blood oozing from the steak colored the potatoes a disgusting gray - not appetizing. The halibut was over cooked to the point of being very dry and tasteless. The accompanying squash puree tasted as it if was heated from a can. The brussel sprouts were roasted and buttery, a pleasant surprise. Our desserts were creme brulee and apple crisp with caramel ice cream. The bowl of creme brulee was quiet large, satisfying, and nicely crusted. The caramel ice cream, which I was looking forward to, was replaced with plain vanilla ice cream. The waitperson made no mention of this to me. I asked to see the menu again, thinking I misread the item. As she handed me the dessert menu she explained the substitution. That was disappointing. The crisp was basically an apple, cinnamon, brown sugar flash fry - which I'm fond of. But there was the distinct taste of butane in the crisp which was distracting and unappealing. After eating a few bites, I found pockets of uncooked flour caked between the apple slices. I was done. Sorry to say Water's Edge will not get a return visit from this house and I will not recommend it to my friends. I hope their food presentation, preparation, and waitstaff improve before it's too late to recover. 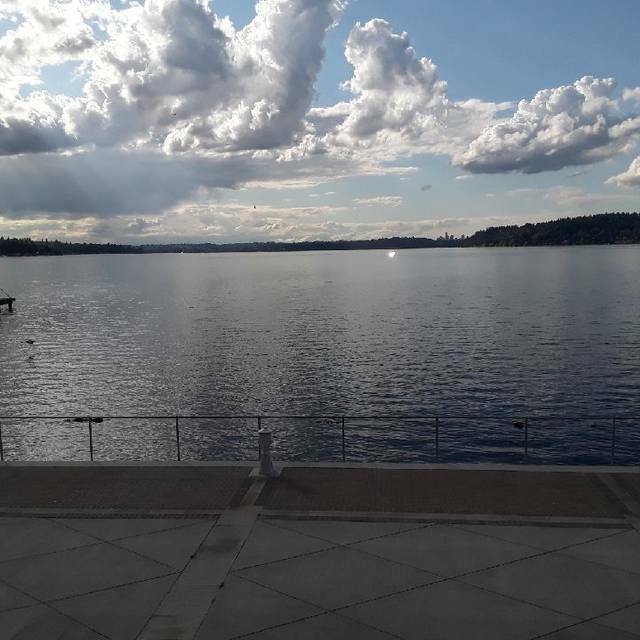 The venue is beautiful, located on the south side of Lake Washington. We loved looking at the lights on the water. The restaurant is clean, classic style, and very calm. However, the food is extremely overpriced for the quality. While we enjoyed our drinks (beer and a cocktail), we feel the the food lacked flavored and taste. The portions were small and we left not fully satisfied. While we enjoyed the ambiance, we would not recommend this restaurant to our friends and family. They need to train their staff and upgrade their food to justify the price point. We had to ask for pepper for our salads , the food came without the menu described items. The sever never checked on us. It was very nice. The wait staff was good and the view was wonderful. A little pricey for lunch but the feel is very upscale and the food reflects that as well. Lunch disappointing. Sunny day view fabulous. Might try a dinner sometime for out of town visitors - for the location and view. We are regulars at Waters Table because of the convenience (we live next door). We usually stop by for a quick bite off the bar menu and sit at the bar, but the prices of things on the dinner menu have gotten out of control. Hey folks. You may be a hotel servicing lots of business travelers on expense accounts, but the meal prices are getting too steep for regular people paying their own way. Salmon and halibut being the same price ($40) is interesting. Most other places there's a difference, with salmon being a little less. We'd be joining you a whole lot more frequently if you could get the prices more realistic. This is Renton, not New York City! Wish you'd bring back the Bristol resident program - it helped a little for your neighbors. 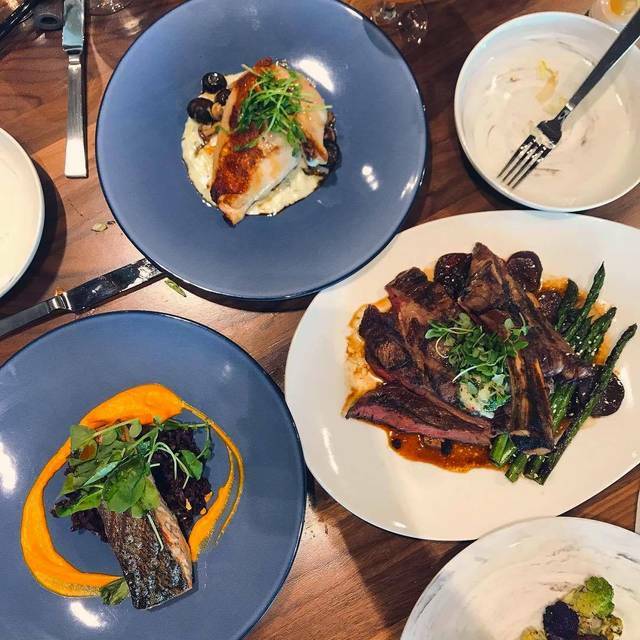 We like to meet couples for dinner at Waters Table, but lately we've noticed a little wincing at the price tag, and that was the case this time. Kind of embarrassing. And while we're at it - to quote my husband - "your drink prices are ridiculous for locals - more than anywhere else in the area, for the same thing." Beautiful facility and location with good food. The setting was spectacular, the ramen amazing, and the service incredible. Loved every minute! Beautiful space and such delicious food! I can't wait to go again. The food was very substandard. vegetables-blackish no green bean casserole good but awful to look at. Vegetable medally(sp) was to unapppealing to take. Dessert Table was lovely.